National Poetry Month: Who Is Your Favorite Poet? April is National Poetry Month and, here in Chicago, the Chicago Public Library will be hosting Poetry Fest on Saturday, April 27, 2013, at the main branch Harold Washington Library Center. This is the 14th year for Poetry Fest in Chicago and the day-long event features poetry readings, workshops, presentations and more. You can find all the details at the Chicago Public Library website. 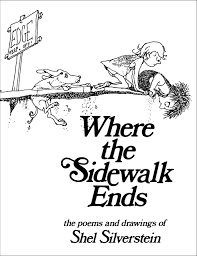 As a child, I loved reading Shel Silverstein’s Where the Sidewalk Ends (& all his others, too!) 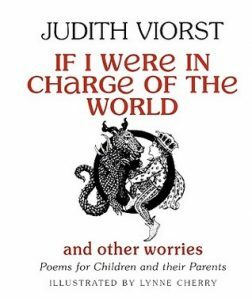 and If I Were In Charge of the World by Judith Viorst. To be perfectly honest, I love them still. But I have to admit that, as an adult, I’ve not given poetry the attention it deserves. My challenge to myself this month is to read a book of poetry. And in order to fulfill my challenge, I’m taking suggestions from you. Who is your favorite poet? Which book of poetry do you think an non-poetry-reading adult should read first?